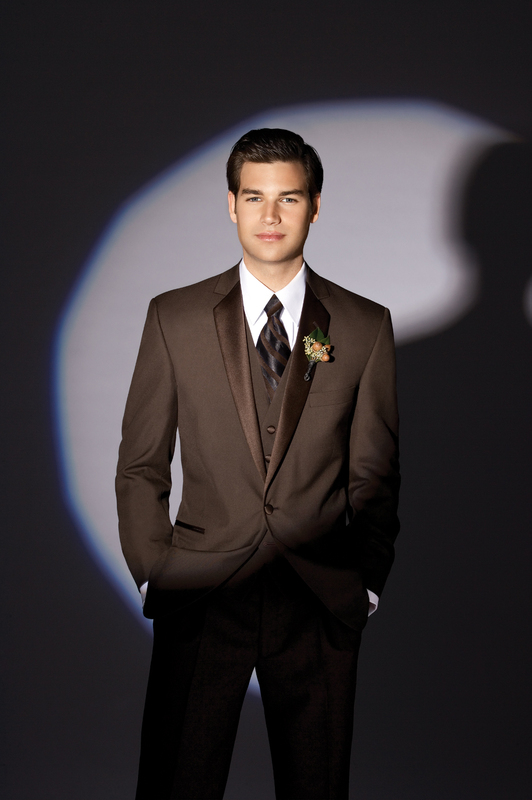 The Mahogany (Brown) ‘Summit’ Tuxedo by After Six is an edgy alternative to a traditional tuxedo. 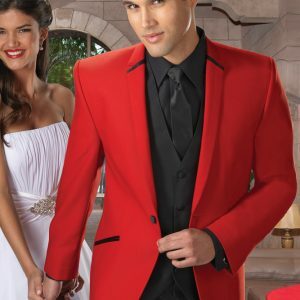 The styling is very traditional, featuring a single-button front, satin notch lapels, self top collar, satin besom pockets, and non-vented. But the fact that it is from a mahogany Poly/Wool blended material instead of traditional black makes it perfect for daytime formal wear, garden weddings, destination weddings, and proms! A great way to stand out from the crowd in a cool and classy way!